For centuries, the music of the national musical instrument duduk has accompanied all the important events in the life of the Armenian people: weddings, funerals, national songs, and dances. And now it is impossible to imagine Armenian music without soft, lyrical, sometimes sad and soulful sounds of this unique instrument. Probably, no other instrument can so accurately and profoundly express the soul of the Armenian people: it represents singing mountains, crying graybeards, and laughing children. In this article, we’d like to introduce you to the useful and interesting information about Armenian duduk. Duduk is considered one of the oldest musical instruments in the world. On this period of time it can be met in different Caucasian countries, however, it is believed that duduk has a purely Armenian origin. According to some deep studies, duduk appeared during the reign of Armenian King Tigran II The Great (95-55 gg. BC. E.). In the V century, Armenian historian Movses Khorenacy mentioned this musical instrument “tsiranapoh” (the original name of duduk) in his works, which are the oldest written mention of this musical instrument. The original name “tsiranapoh” is translated as “a tube made from an apricot tree”. It got this name not by chance: duduk is made exactly of apricot wood. In other countries, duduk is made of other materials (plum tree, walnut tree) that’s why their sound is so different from the sound of Armenian one. 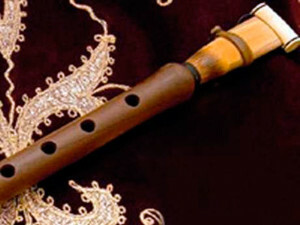 The instrument made of an apricot tree has a soft and unique sound. Duduk itself is a long tube of 28, 33 or 40 cm and has 7 or 8 slot openings and one on the back side for the thumb. Its sound is soft, velvety, lyrically, sometimes very sad and emotional. Probably no one musical instrument can even subtly express the soul of the Armenian people. And a well-known Armenian composer Aram Khachaturyan once admitted that only the sound of the duduk can make him cry. 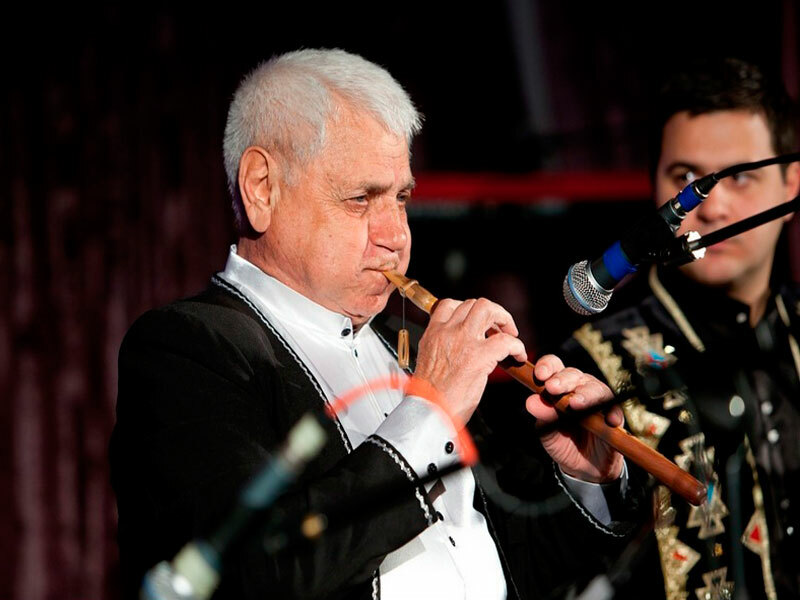 One of the most famous duduk performers in Armenia is Jivan Gasparyan. Due to his activity, the interest in duduk music, which was decreasing flared up with renewed force and even gained the international fame and recognition. Jivan Gasparyan began playing this instrument at the age of six. His first teacher was famous duduk player Markar Markaryan known all around Yerevan. The talent of the little boy was immediately noticed and the boy was invited to Moscow to play in the Bolshoy Theater (1947). After that Jivan was accepted in the national ensemble of folk instruments within which he traveled all around the Soviet Union. In the period of Reconstruction, he visited London where he met famous musician and producer Peter Gabriel. This acquaintance played a key role for Gasparyan’s creative work, as after the mutual cooperation his music was played in one of the best world halls. After that, the musician continues to work with Richie Layanelom, Andreas Vollenweider, Sting, Hans Zimmer, Irina Allegrova, Igor Krutoy, and also writes music for world-famous films. The first film, where sounded duduk music in the performance of Jivan was “The Last Temptation of Christ”, and then followed: “Gladiator”, “Ararat”, “Alexander”, “The Passion of the Christ”, “Munich”, “Syriana,” “Ashes and Snow” “Hulk,” “Xena – Warrior Princess,” “Russian House”,”The Raven”,”Onegin”. And for the soundtrack to the film “Gladiator”, he won the “Golden Globe”. At this period of time both in Armenia and abroad, there are many Armenian duduk players, who became famous thanks to their talent: Ludwig Gharibyan, Jivan Gasparyan Jr., Gevorg Dabaghyan, Sergey Karapetyan, Mkrtich Malkhasyan, Vache Hovsepyan. In Armenia, you’ll be able to find different Audio CD collections of duduk music performed by famous players. We recommend visiting one of the famous central bookstores in Yerevan – “Noyan Tapan”, located right in front of the Republic Square. For those who want to listen to live duduk music, we can note that amazing concerts are from time to time held in the Opera and Ballet Theater (Mashtoc Avenue 46) in the Concert Hall. Aram Khachaturian. In case your visit to Armenia coincides with the performance of Jivan Gasparyan, without doubt, you’ll get a lot of unforgettable emotions. Armenian traditional restaurants are one of the most popular places which offer evening live music and here you can get acquainted with duduk playing. We recommend paying attention to the restaurants – Tavern Yerevan. Dolmama, Ararat, Old Erivan, Caucasus Tavern, Ayas, and others. 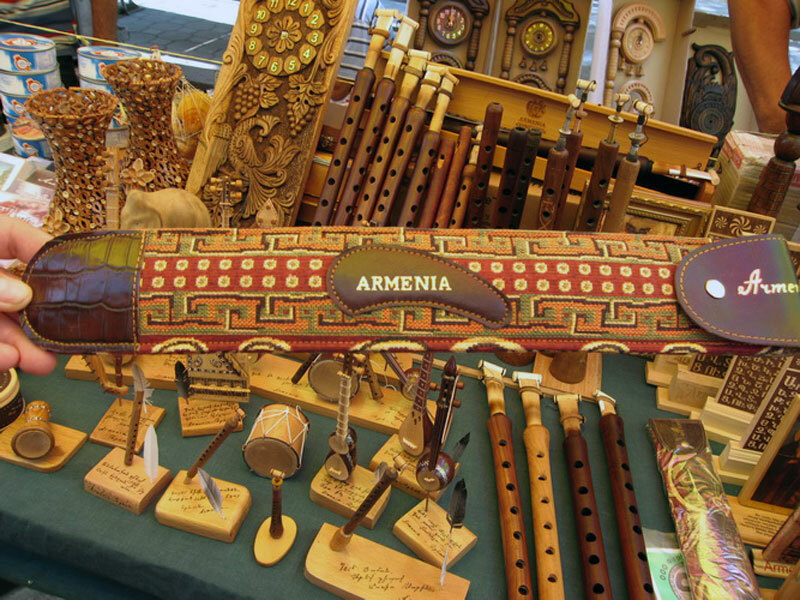 For the interested tourists who want to buy the duduk as a souvenir, we recommend visiting the open fair Vernissage which operates every Saturday and Sunday near the Republic Square. 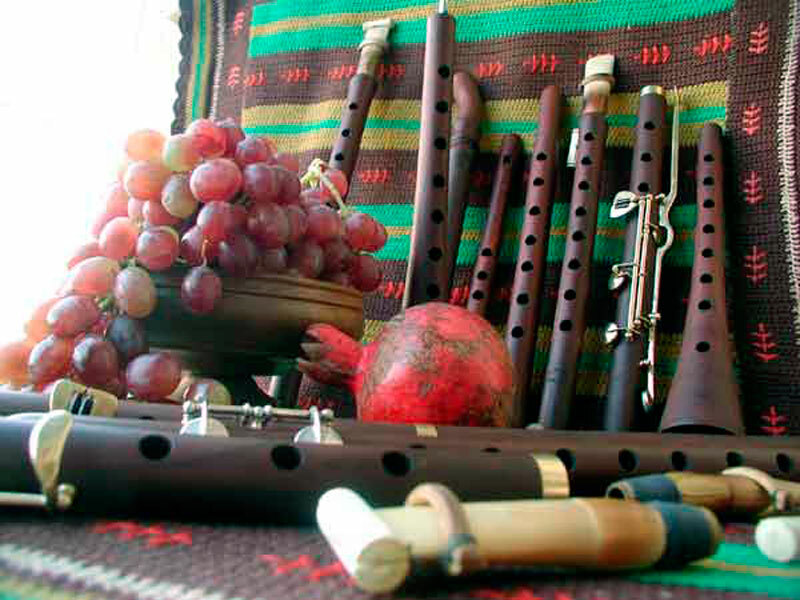 Here you will find fine specimens of duduk made of the apricot tree, as well as many other musical instruments. Duduk can also be found in many souvenir shops of the capital, which are concentrated mainly in the city center on Abovyan Street.